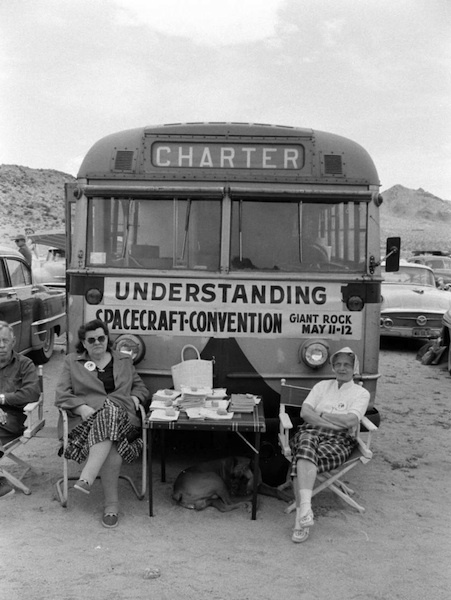 THE "INTERPLANETARY SPACECRAFT CONVENTION" a.k.a. 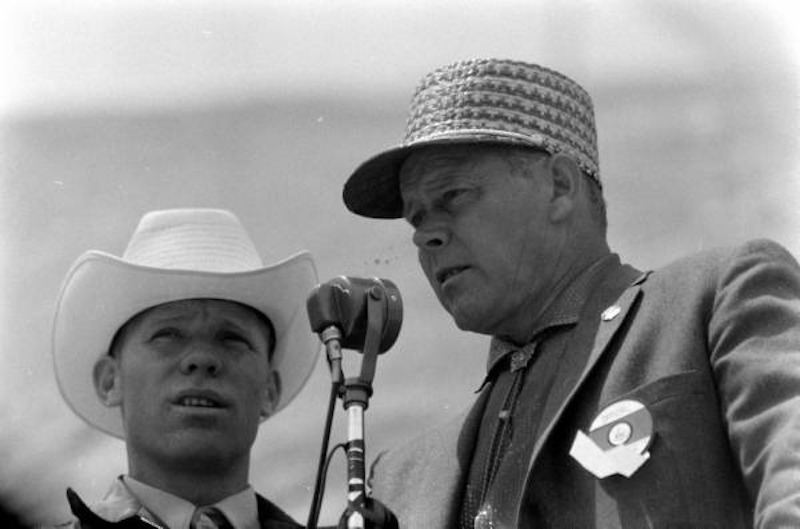 THE GIANT ROCK SPACECRAFT CONVENTION was the brainchild of George van Tassel. 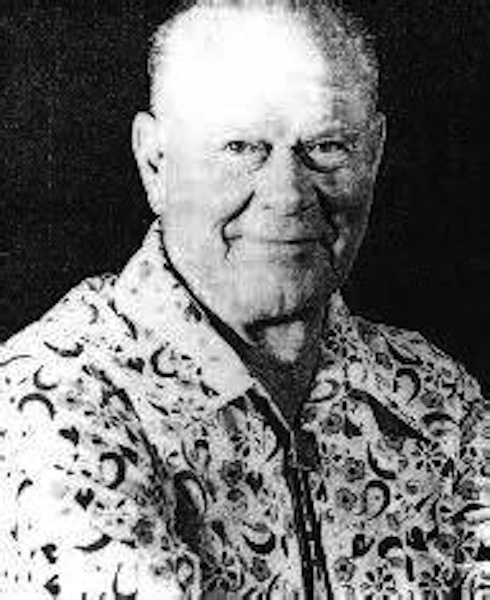 VAN TASSEL has been described as being a genius, a fraud, a contactee, amongst other things. 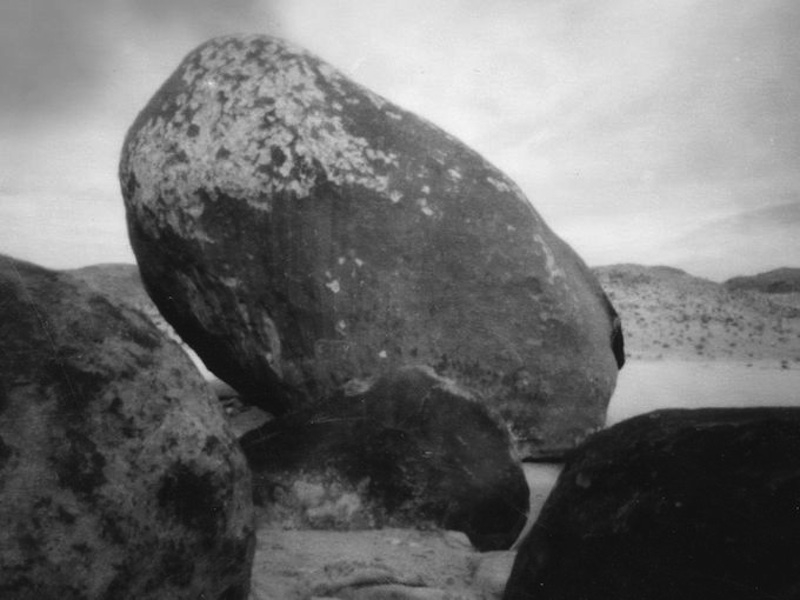 One thing is for sure, if it was not for him, the GIANT ROCK SPACECRAFT CONVENTION would never have happened. Below are the meetings through the decades. SOME TRUTHS IN HIS LECTURE? MAYBE, MAYBE NOT? IS HE A CON MAN? 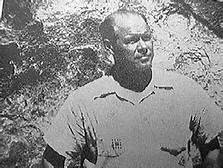 IF VAN TASSEL IS, THEN HE IS ONE OF THE BEST OF ALL TIME; THE MAN CAN SHOOT THE LINE! 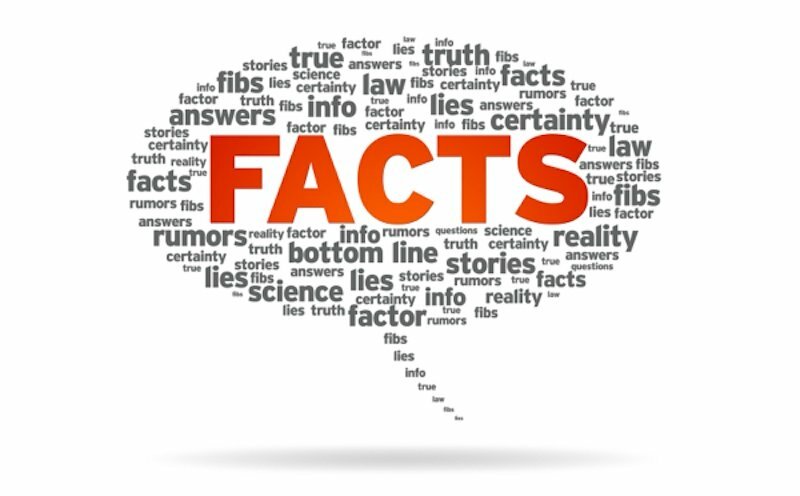 HALF TRUTHS or LIES? YOU DECIDE? 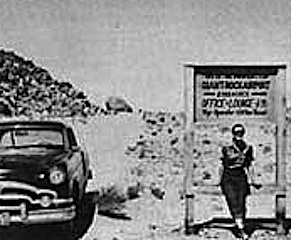 Van Tassel 1910-1978, claimed he was a contacted by a Venusian at the Giant Rock in 1953, whereupon he started his UFO conventions 1954-1978. 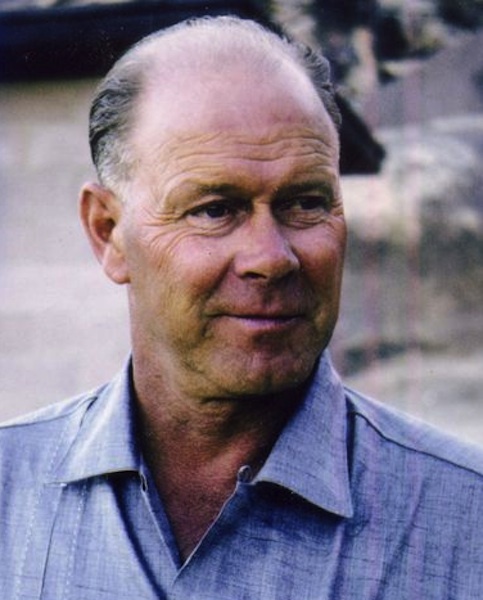 Below is audio that Van Tassel made in 1956 @ the Yucaipa, California Rotary Club. Maybe some truths in this lecture? 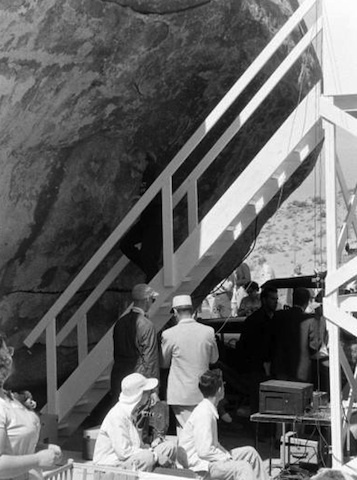 LEFT - JUNE 1966: The "COME ON INN" dinner, at THE GIANT ROCK. Van Tassel, his wife and 3 daughters ran this eatery. 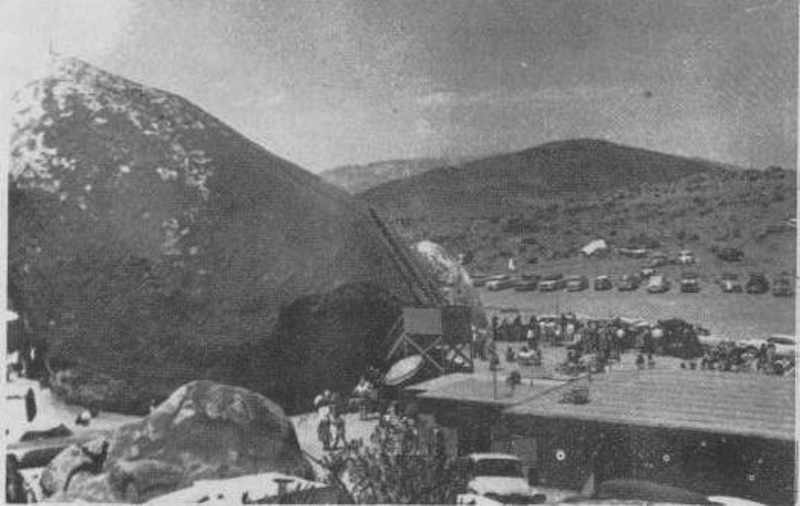 At its zenith the Giant Rock Spacecraft Convention would draw thousands of spectators. 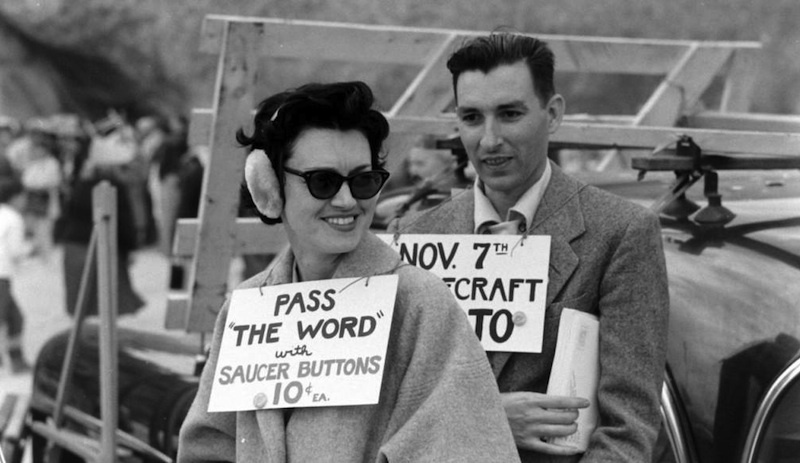 The curious would listen to speakers and meet with UFOLOGIST. 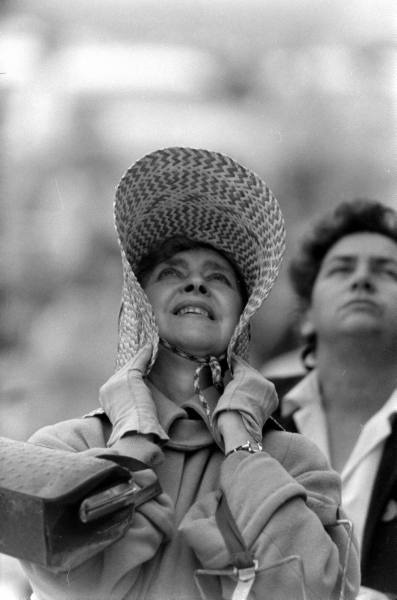 Merchants would sell products linked to the UFO genre. 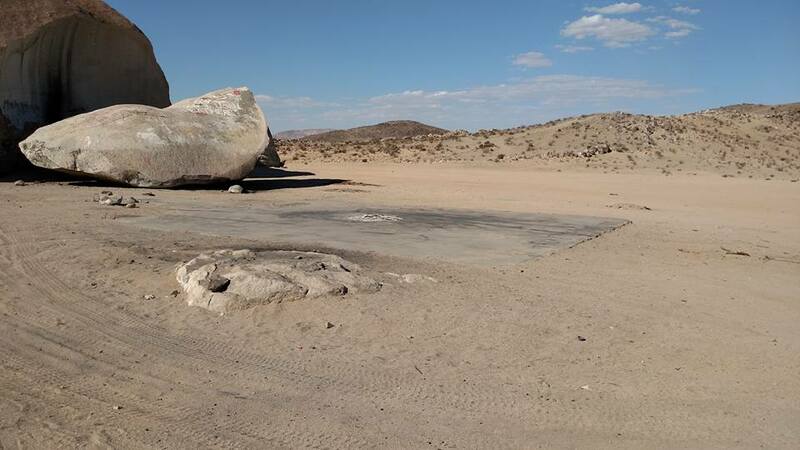 In some ways the above video is rather sad, all that is left at the Giant Rock is a concrete slab and the boulder is now broken. Kind of like USA's culture, it is time things got righted, with the country's leadership and the nation's ethos. At one time this location was filled with hopeful people who wanted knowledge and for the most part were full of goodwill. Yes there were charlatans in the masses, but the energy of the groups that met here was dynamic. It is time to recapture that mind set of go out and learn, seek out and gain knowledge. The last time the USA visited the MOON was 1972! Or some say, officially that was the last time. Americans have got to start asking questions and demanding answers, and stop being the SHEEPLE. You know what happens to lost sheep, the BIG BAD WOLF get them. The BIG BAD WOLF is the main stream media, government administrations of the past and school curriculum. 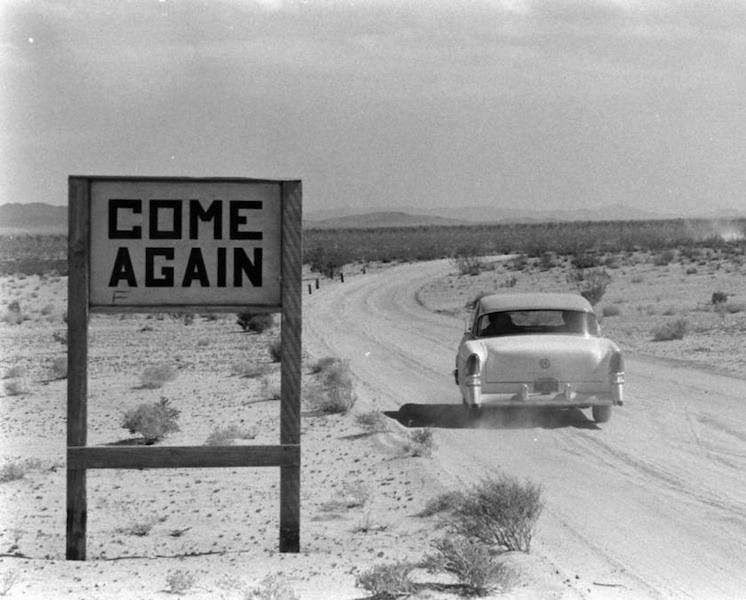 Time to recapture the the energy of the past, that energy was filled with curiosity. Reject the dumbing down of America by the Orwellian BANKSTER power brokers that set the agendas of culture and directions of thought in the USA. 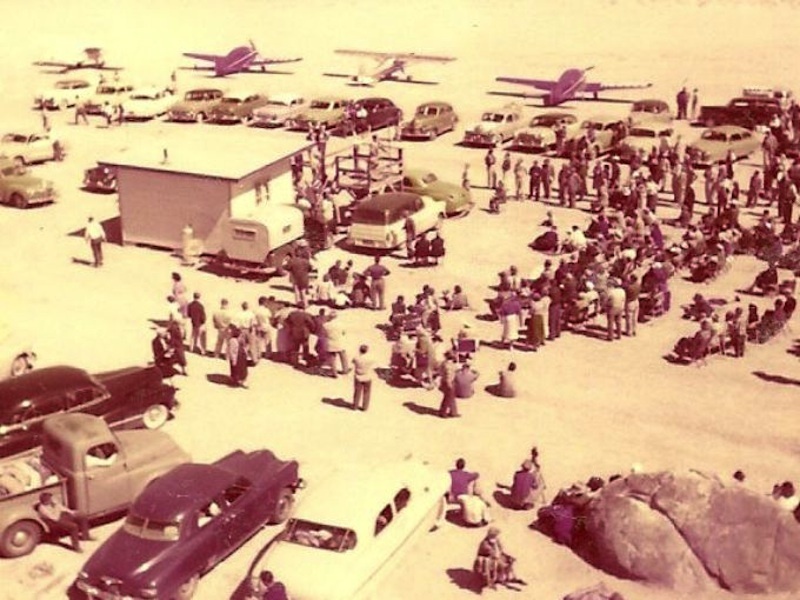 At least these people of so many decades ago that gathered at the GIANT ROCK were curious! A much more innocent world back then. The energy in these pictures is completely different from modern UFO conventions. 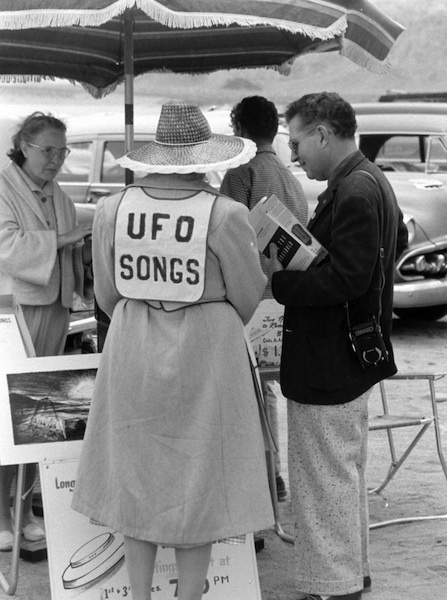 SOMETHINGS IN THE LECTURE DO SOUND CORRECT OTHER THEMES ARE WILD..
BELOW: A 1958 AUDIO, VAN TASSEL ON UFOS, & ALIENS. IT IS LOW VOLUME, HAVE TO LISTEN IN QUIET PLACE. 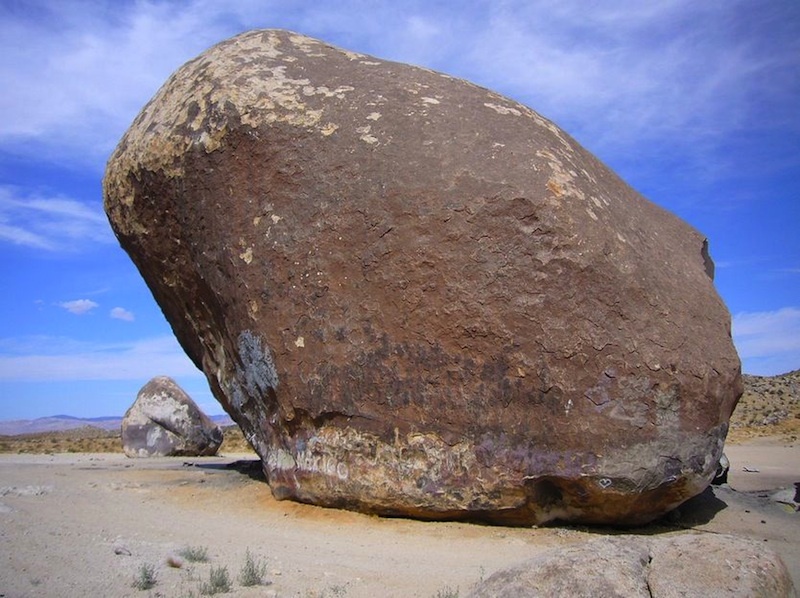 BELOW: IS SOMETHING VERY DIFFERENT & IT IS RELATED TO "THE GIANT ROCK" AS IN VAN TASSEL AND HIS IDEAS + ODD ENDEAVORS. HARRIS HAS SOME GOOD IDEAS & INFO. SOME OF THE THEMES PEOPLE DISAGREE WITH -- I SAY A LOT OF HER THEMES ARE --- EL CORRECTO! 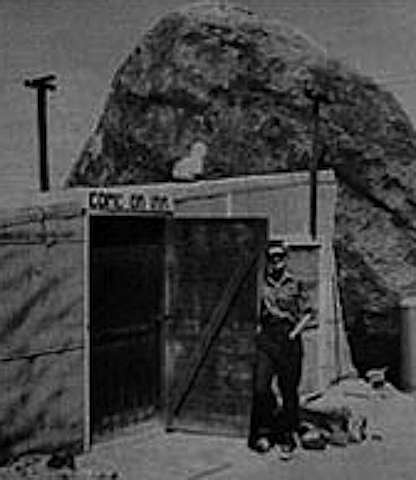 CONTACT THIS LANDERS, CALIFORNIA LADY -- FOR A GROUP TOUR OF --THE GIANT ROCK -- AND PAY HER WELL, RESEARCHERS DO NOT LIVE ON AIR ALONE. 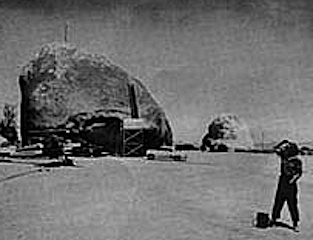 THE -- THE GIANT ROCK. Of course you can always contact me, ALLAN PACHECO--for a radio gig or lecture. 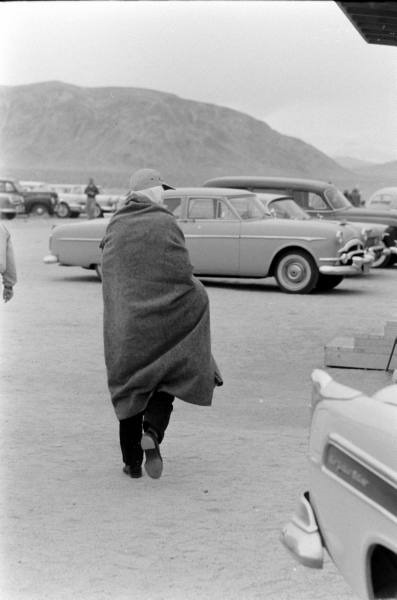 But I am not on location at LANDERS, CALIFORNIA, I am based out of MYSTERIOUS -- SANTA FE-- NEW MEXICO! 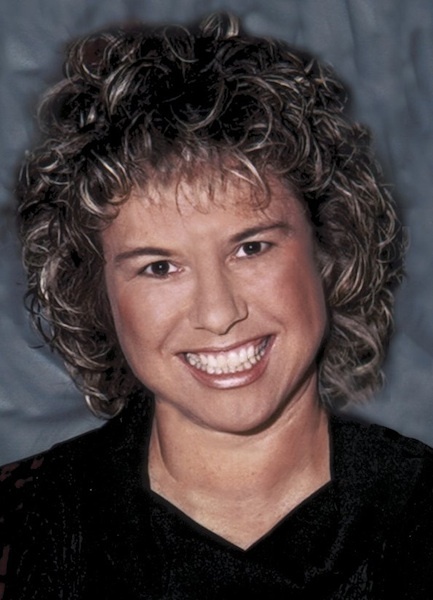 ABOVE: HARRIS IS NOT SOME HACK, SHE CARES ABOUT THE MYSTERIES OF THE AREA. 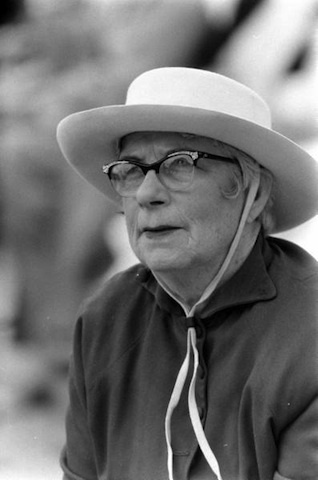 I HOPE TO POST MORE AUDIOS BY THIS RESEARCHER -------BECAUSE THIS LADY IS LEGIT. SHE IS A GOOD SOUL. Another audio -- HARRIS starts at 109 MINUTES mark. 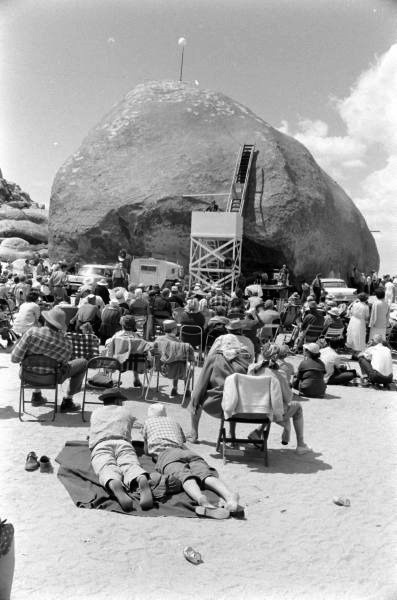 A show on George Van Tassel--GIANT ROCK--INTEGRATRON. The host does not know much about this topic. With open minds and a lot of goodness the SEEKERS came to the THE GIANT ROCK SPACECRAFT CONVENTION. Unfortunately the vast majority of knowledge and goodwill that was present at these shindigs was immediately stymied by the mainstream media and con artists. The lesson of this, the mainstream media for the most part is rather ORELLIAN, it does its best to turn modern Americans into sheeple, by making creative thinkers look like fools. 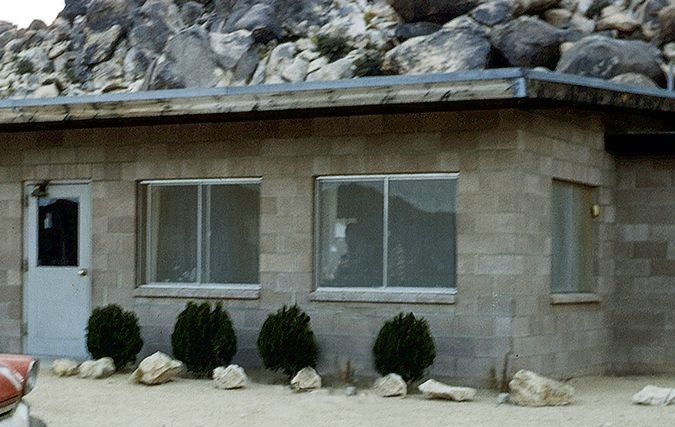 All that is left of VAN TASSEL's endeavors at THE GIANT ROCK is the dinner's concrete slab. 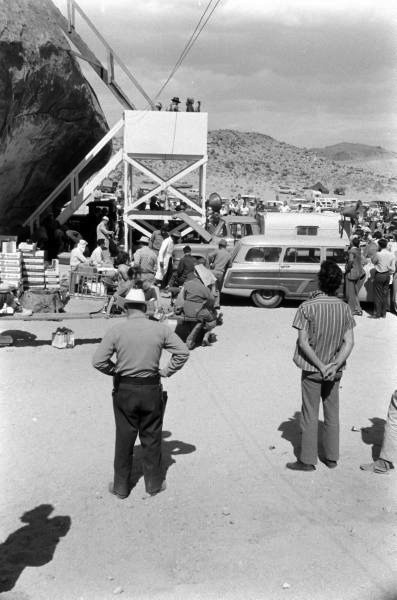 LANDERS CALIFORNIA GIANT ROCK UFO CONVENTION page --- vintage data & photos of this shindig!